Find and click on your name. Who lives where - click links below to find out. Know the email address of a missing Classmate? Click here to contact them! This " BHS Class of '64" website is dedicated to the memory of Ann Gibson McPhee, for the sole purpose of communicating and reconnecting with old friends. It is our desire that this website be kept non-political. There's no fee to join. Please become a member by clicking on the "JOIN HERE" to the right above. This is a secure site and your information is not used elsewhere. You will have complete control of the amount of information you choose to share with other classmates. After you join, you will have full access to Class Creator. We will be using Class Creator in the future for posting announcements to keep you informed regarding upcoming classmate and community events. Be sure also to check out the "Missing Classmates" list to see if you can help locate any old friends. Likewise if you have any information on classmates listed on the "In Memory" section or other deceased classmates let us know so that we may add their names as well. Should you have any questions regarding or need help with this site, click on "contact us" to the left and we will try to answer as quickly as possible. 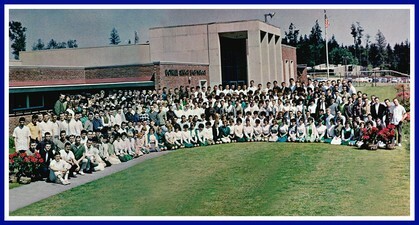 Our homepage banner has a picture of the Bothell High logo as it was when we attended, as well as the current Bothell High logo. This represents our goal for ClassCreator-to celebrate our past while enjoying our present.